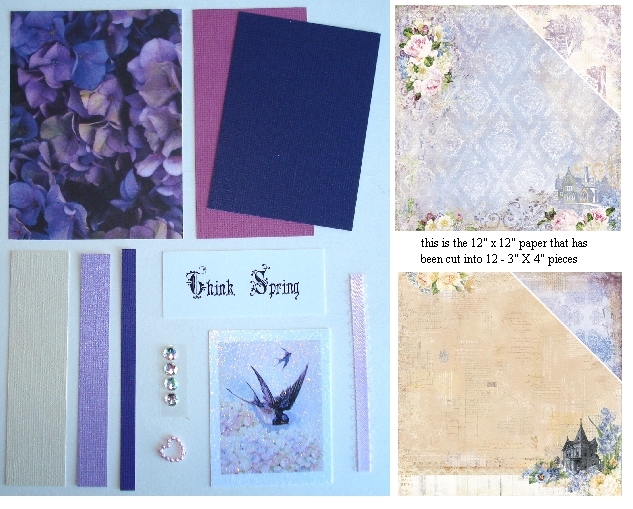 Artist Trading Card Kit of the Month - April 2017 Think Spring. Here is a list of the kit contents: 1 - 3 in. x 4 in. Blue Fern Studios double-sided cardstock - Courtship Lane, 1 - 3 in. x 4 in. Blue Fern Studios double-sided cardstock - West Plaza, 1 - 3 in. x 4 in. 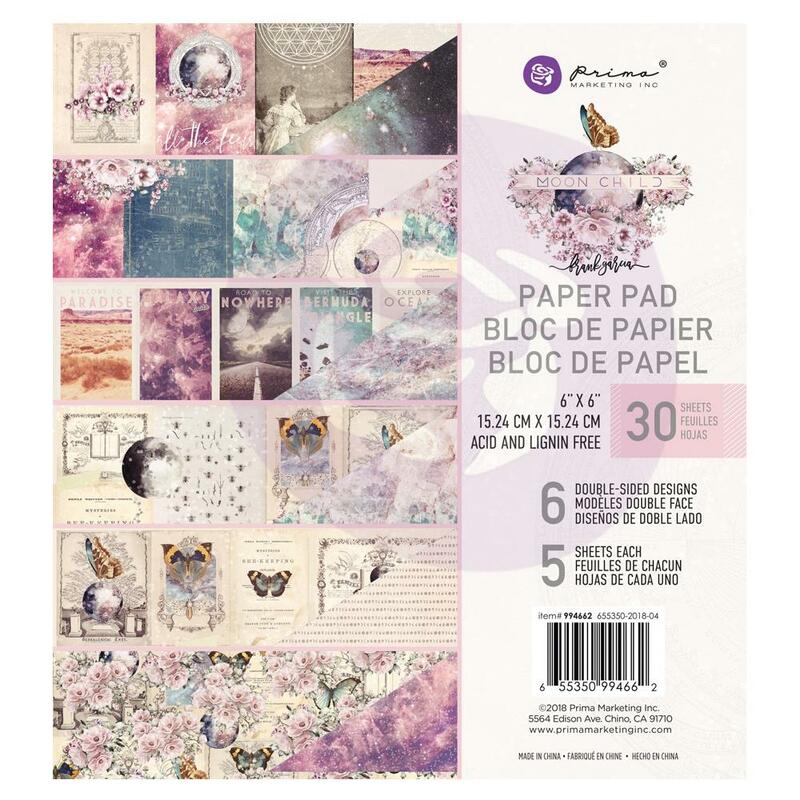 Paper Pizazz paper - Purple Hydrangeas, 1 - 2 1/2 in. x 3 1/2 in. Core'dinations Distressed paper - Chipped Saphire This is great for sanding!! Also 1 - 1/4 in. x 4 in. Core'dinations paper - Valiant Violet, 1 - 1/2 in. x 4 in. Core'dinations Gemstones paper - Amethyst, 1 - 1 in. x 4 in. Core'dinations paper - Sandtrap, 1 - 2 in. x 4 in. Core'dinations paper - Sassy. Also included is a piece of lavender ribbon, a vintage sparrow collage image created by Lisa and professionally printed on Core'dinations Glimmer Prints paper, a Think Spring word phrase, with a whimsical font, that has been professionally printed for you, a lavender purple plastic heart embellishment; matte on one side and pearl tone on the other, and 4 - round 6cm iridescent adhesive gemstones. Cut apart and stick anywhere on your ATC. Lastly an clear ATC sleeve.